Cathy Hansell, President of Breakthrough Results, interviews John Leyenberger, former Walmart Dir. of International Safety; and currently Principle Consultant, Centerline Risk Solutions, LLC on the topic of Five Lessons in Creating A Robust Safety/SHE Culture. Get the practical “how to” actions and lessons from Cathy and John, as two successful senior safety leaders in global corporations. [Sparks, Nevada, USA]- Haws® is proud to announce the launch of our indoor/outdoor Three-Sided Shower Enclosure, a cost-efficient option that provides victim privacy and protection when needed most. New Pig, the number one brand that helps companies manage leaks, drips and spills to protect workers, facilities and the environment now offers free trial training courses on a variety of subjects. Modern technology has transformed our world in previously unthinkable ways. From the smartphones in our pockets to the GPS satellites that they’re connected to, technology has become incredibly embedded in our everyday lives – often without realization. 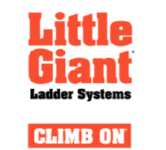 New Innovation Built for Those Who Get Stuff Done Will Help Pros Work Faster and Safer Springville, Utah, March 12, 2019 – Little Giant Ladder Systems® the industry leader in ladder innovation and safety, announces the King Kombo™, the world’s only 3-in-1 ladder in one lightweight, affordable package.